Brief Synopsis – A famous gunfighter comes to a small town and must deal with his fame around every corner because everyone wants to try and best him in order to gain their own fame. My Take on it – This is another film that I had never heard of before chooses to watch it solely based on the premise which sounded quite fascinating. Gregory Peck is great in the lead and does a wonderful job playing this part. They do an excellent job looking at the price of fame for gunslingers in the old west. they always needed to look over their shoulders in order to make sure that no one was trying to prove that they are faster at the draw. Peck is able to show how difficult this kind of life can be for a man especially when he must deal with the way he is perceived as opposed to the way he actually is. His motives for coming to this town are of a very different nature than most people think and that helps make the character even more sympathetic despite the fact that he is seen as being a notorious killer. The premise of this film can be viewed as being quite timeless because of the fact that there are always people trying to outdo someone who is currently the “flavor of the month” and prove that they should actually have the position instead. This film does a nice job keeping the tension high throughout which helps keep it very interesting from start to finish. Bottom Line – Great look at the price of fame even in the old west. The way that they show how a man must be constantly on the lookout for trouble because no matter where he goes, trouble follows him solely due to his reputation and not necessarily for what he has actually done. Peck is great in the lead and plays the character quite well because we get to see numerous sides of his personality throughout. In some ways, this premise is quite timeless because it allows us to see how fame can be seen by others as something that they can attain just by somehow surpassing whoever is currently the “flavor of the month”. Recommended! 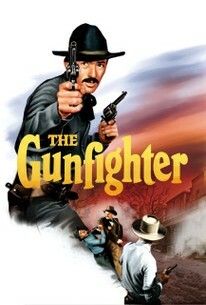 “The Shootist” (IMO) is the better film between the two (I had never heard the story about Wayne getting screwed out of doing The Gunfighter…), because even though it has the similarities of a man carrying his reputation into confrontation with any young punk looking to make a name for himself – The Shootist carried the added weight of it being Wayne’s last picture AND the fact that he was dying of cancer when he portrayed a gunfighter who was dying of cancer. As for Gunfighter – it has one of my all-time favorite dialogue exchanges/non-sequiturs ever – when Peck in the saloon asks the guy “You ever been in love?” and he replies, “Nope. I been a bartender all my life”. Cracks me up.